Exams are finally over! 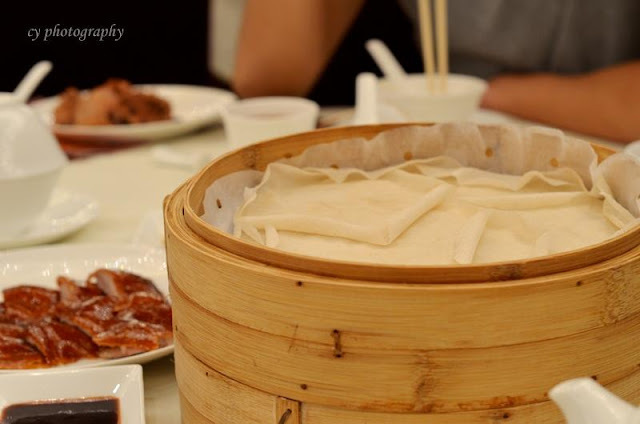 In the upcoming entries, we will be focusing mainly on the delicacies worthy of our calories in Hong Kong. 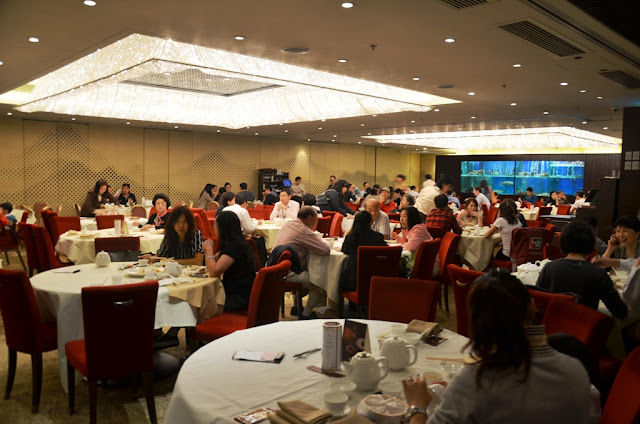 The Chinese food tried and tasted in HK ranged from the classic 'Cha Chang Teng' to Michelin-starred restaurants. First up is Lei Garden Restaurant at Elements, which had been accredited with 1 star under the Michelin Guide Award. 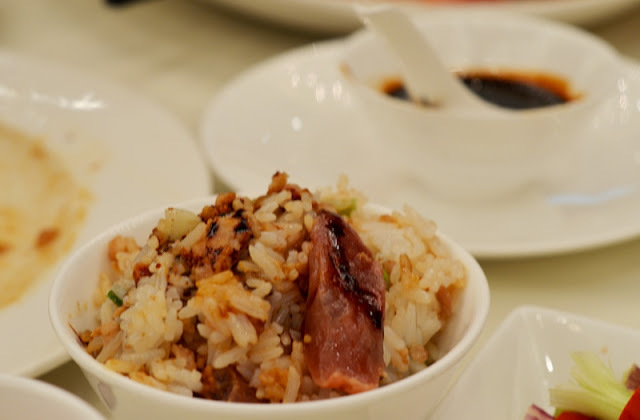 The other Lei Garden at Mongkok however carries 2 stars, anyhow, back to the yummy food! 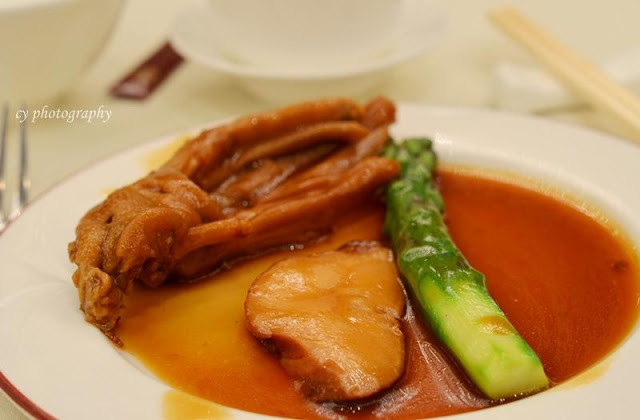 For those interested to try out Lei Garden, it would be worth calling up to place reservations in advance for their daily soup and Peking duck. The skin of the duck was very well roasted and crispy. Foodies familiar with this dish should know what to expect. The pancakes were soft and served warm, like how it should be. 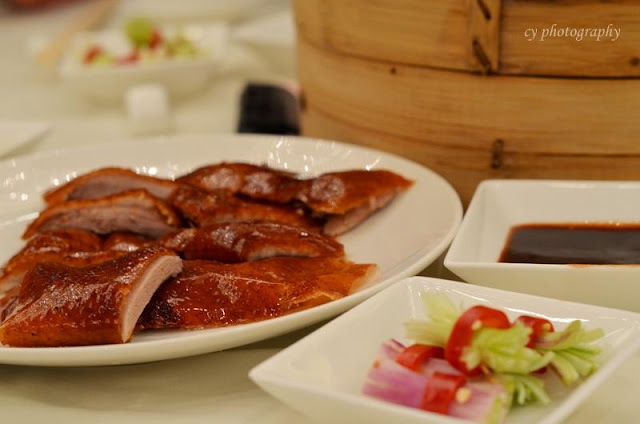 With some spring onion and the skin of the roasted duck dipped with the specially prepared 'hoisin' sauce, it was definitely your classic starter for a proper Cantonese cuisine. If you are the sort who prefers a more 'meaty' cut to your Peking duck, then you might be in for a slight letdown. The daily soup was really good. Slow-boiled to perfection, and it was very rich. To be honest, we forgot what type of soup it was, but being the 'daily soup', it changes daily anyway. Bottomline, the soup was definitely a hit. The abalone slice was not exactly prepared to our liking. It was too 'soft', resulting in a rather 'lumpy' taste. The goose feet fared better, though there was slight indifference to your normal chicken feet. The only plus point from this dish was the very rich and saucy gravy. I personally would not recommend it. 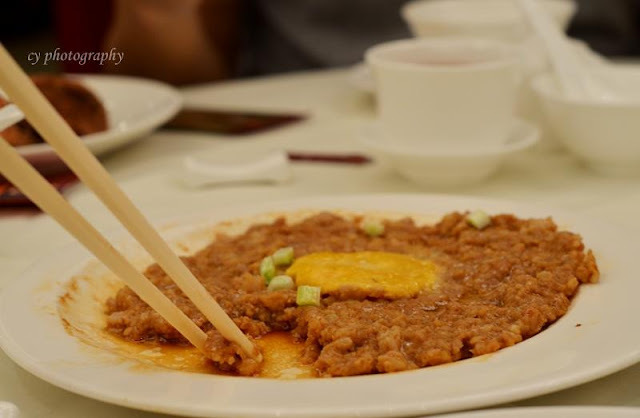 Well, it tasted nice and soft like a minced meat 'cake' should (compliments for not making it too mashy), but the underlying gravy was too salty for our preferences. It kinda ruined the dish altogether. The rice was too dry and in general nothing too fanciful to talk about. 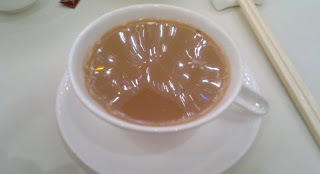 It tasted very average and to be honest, I would advise against it if you are going to inevitably compare it with the standards of those offered in Singapore and Malaysia, or even at some other places in Hong Kong. I was rather put off by the double standards rendered by the serving staffs of the restaurant. Apparently the receptionist was not very friendly towards Mainland Chinese, well in terms of their attitude (tone of speech). Thankfully I did not fall victim due to my poorly articulated Cantonese, but still prejudicial and preference treatment is a 'no-no' by my books. I was certainly not too impressed. On the food in general, it was definitely above average, but some hits and misses for sure. On a more positive note, apparently their dim sum was something to look forward to. Definitely have that in sight for my next Hong Kong trip!